PETEX – University of Texas Publication Petroleum Extension Service ISBN 978-0-88698-259-1, 2014, 252 pp. The first in a series of three drilling technology books, Introduction to Rotary Drilling, 2nd ed., is the introductory text on rotary drilling. Designed for industry personnel and petroleum technology students involved in rotary drilling operations, the topics cover the origin of petroleum and the fundamentals of rotary drilling. The book provides the essentials and explains the tools, instruments, and equipment required for drilling a well presented in an easy-to-read manner. 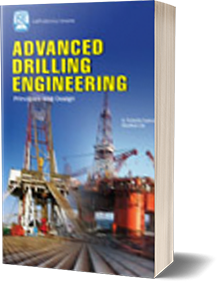 This book is a revision of the original edition, which has remained a popular training staple among oil and gas industry participants worldwide for decades. While the basics of drilling are retained, a number of changes have been incorporated to reflect how the industry has evolved. This new edition is vibrant and illustrative, making this a highly useful manual for employees.